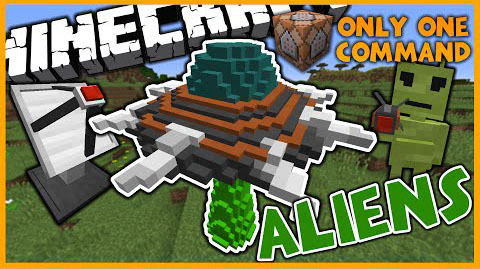 Aliens Command Block allows you to communicate with aliens via a satellite and summon them to your world! When you kill them and their UFO you will be able to craft many new items. The first item is the ray gun. When using this along with ray gun ammo you can do lots of damage to many mobs. The second item is the forcefield turret. This item will shoot forcefields in the direction it’s facing which will electrocute all entities.